So + 8% in four months time, or + 2% per month. 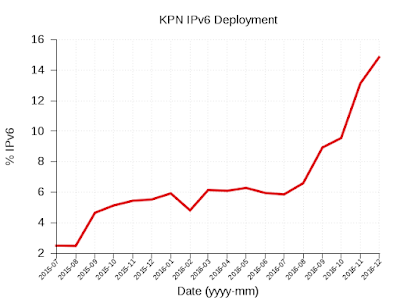 Well done, KPN! 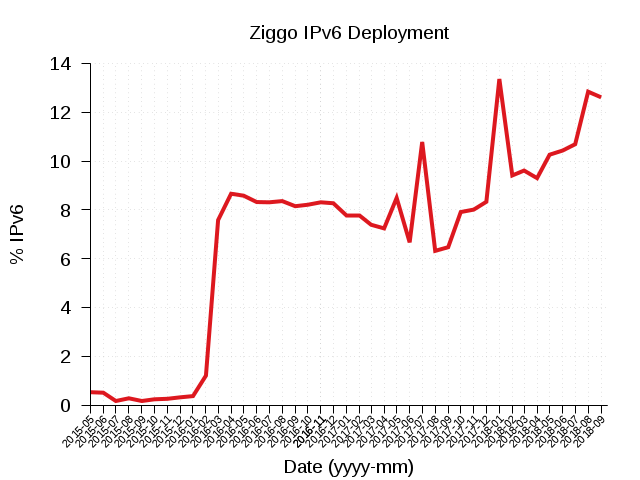 That could mean KPN could be at 14% + 12*2% = 38% IPv6 traffic at the end of 2017. We'll see in one year time.